In 1996, David Lipsky convinces his editor at Rolling Stone to let him do something unfamiliar to the magazine—run an interview with a famous author. While it’s almost even less imaginable in today’s world of reality stars than it was in the ‘90s, there was a writer of that era who rose to such a high level of acclaim that his name became a household one: David Foster Wallace. While the author of “Infinite Jest” was finishing up a tour to promote his book, Lipsky tagged along, recording the interview that took place over the next four days, and turning that into a book in 2010, two years after the death of Wallace. Lipsky’s book has been brilliantly adapted by Donald Margulies and director James Ponsoldt (“The Spectacular Now”) into “The End of the Tour,” which received raves at Sundance and Ebertfest, and will finally be released this Friday, July 31st. Jesse Eisenberg stars as Lipsky, but the film belongs to Jason Segel’s portrayal of Wallace. He disappears into the controversial role, finding dramatic depth he hasn’t really displayed before. He sat down with us in Chicago this week to discuss “The End of the Tour,” privacy, fear, and the other emotions that drive actors. 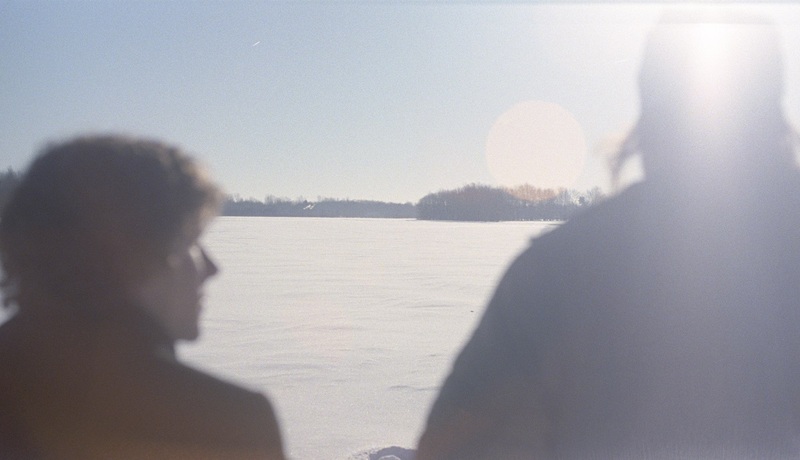 I saw the film at Sundance and Ebertfest and the Chicago Critics Film Festival, and it led me to wonder what it’s like to live with a film so long. 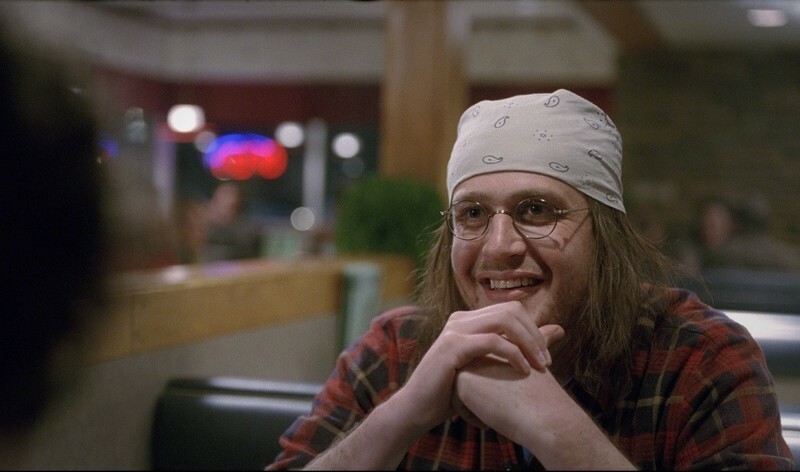 Since it premiered in January, how has your experience with “The End of the Tour” changed over the last six months? Well, what the past six months have been, which has been really interesting, has been going to a lot of smaller film festivals in small towns and screening the movie for people outside of the movie industry. Sundance, to some extent, is an inside baseball venue. What has been the most exciting thing is that the movie's themes resonate with people outside of the industry. The pitfall is that in the hands of any other director, this is just a movie of two smart guys saying smart things back and forth. Going into Sundance, honestly, there’s this fear…there’s no big plot movements, and if you’re not into it in 20 minutes, it’s not like something is going to happen to change that. You have to really be locked in. Does it matter if you know or don’t know who David Foster Wallace is? Was that your biggest concern? Yeah. Of course. It’s the big question of a movie of this size—will people care if they don’t care about David Foster Wallace? It’s not a cradle to grave biopic. It’s just these four days. What it really rests on is creating this character tension between two guys. Between Donald Margulies curating the actual interview into a narrative and James Ponsoldt creating tension out of active listening. It’s really hard to do. When you find out you’re playing a real person, what’s the first step you take in terms of process? You read and you read and you read. There’s personal stuff of getting over fear. For you? Playing a real person? Playing a real person, playing this specific person, tackling material like this. Spending a little time to get to a point where you can proceed apologetically. What keeps you from that point? Were you concerned about taking a private life public to a certain extent? Is that a concern for you as an actor when you play a real person? I certainly have sensitivity to the fact that this is a man who has passed away. And has people who love him in varying capacities. That I have a lot of sensitivity and empathy towards. I think I have a unique experience in being recognizable since I was 17 years old. I have a unique point of view on what is private and what is public and things like that. I felt like when I read the script that the movie was an extension of the themes of “Infinite Jest.” It was echoing sentiments and ideas that David Foster Wallace was trying throughout his entire career to communicate, all the way up through “This is Water,” the famous commencement speech he gave—he was really passionately saying, “I’m in it with you guys. I’m not preaching at you. What my experience is that I have placed my value in some things—pleasurable entertainment—and found myself empty in some way. Does anybody else want to join me in this conversation?” That is what this movie is. And so I felt comfortable. So a way to get past that fear is to continue a conversation that he started. I think that helped me zero in on how to play the part. I think the fear is personal inadequacy feelings. Does that happen every time? No, but it is important, I’m realizing. And you were seeking something more challenging? The movie also taps into something culturally. You’re being communicated to from a very young age that life will be some variation on working hard during the day so you can come home and crack a beer and watch TV. A big TV in a big house with a big car. Speaking of TV, you have a lot of experience on it and I’m curious how it changes you as an actor. How do you think it impacts the way you approach a project like this one? I felt a bit of a strain in that I was simultaneously part of two groups. I was part of my TV show and I was making movies with the Judd Apatow crew. The Judd Apatow energy is pushing the boundaries of comedy. And the nature of a TV show is that you can check in at any time and it’s familiar. They’re really antithetical in a lot of ways. It doesn’t mean that you don’t have a Venn Diagram of what is funny, but the nature of the experience is just really different. It isn’t until I had some distance from the TV show that I was able to look at it and realize it had tremendous merit that I, at the time, didn’t give it full credit for. With the show ending and traveling around, and seeing that people love the show in some really important ways—that show got me through college; that show got me through Iraq—it was a big learning, “Grow Up Kid” kind of lesson. It’s interesting that you talk about the comfort food aspect of television when that’s something that certainly was a subject of David Foster Wallace’s. Does that intersection have an impact when you’re playing this person who was addicted to something that you were a part of ten years? I think there’s a lot of kismet about everyone’s involvement in this movie. It seems to have come together in a really special way. You’re a writer too. How much writing impact did you have on set? It wasn’t really necessary. First of all, the dialogue was coming almost verbatim from the tapes. And Donald Margulies is a genius. Simple as that. There were some moments when what was happening between us was different than what we anticipated might happen. And so there would be adjustments. But no plot changes. Just occasional line tweaks like I’m more irritated here than I thought I might be. Yeah. Everyone has an equal voice on James’ sets. It’s a really important thing when you’re making movies. Is he different in that regard than other people you’ve worked with? I don’t want make it comparative, but I’ll tell you this: when you’re making a movie for $3.5 million in negative-15 degrees in the Polar Vertex, you better treat everybody like this is a team. You’re there because you love it and because you love movie-making. On a movie like this, there’s literally no other reason to be there. James makes sure everyone involved feels like an equally valuable member of the team. Do you know what you’re doing next? Nope. It’s been really important to me to make really deliberate choices about what I do. And what I do next I want to be reflective of “The End of the Tour.” So I have to wait until people can see it. I’ve felt a year ahead. But now it’s finally coming out. Before I go, I almost forget, how method are you? Do you stay in character as David on set or do you pop back to Jason?